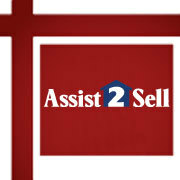 Welcome to Assist 2 Sell Advantage the premier resource for all real estate information and services in the area. We hope you enjoy your visit and explore everything our realty website has to offer, including St Louis real estate listings, information for home buyers and sellers, and more About Us, your professional Realtor. If you're planning to sell your home, nothing is more important than knowing a fair asking price. We would love to help you with a FREE Market Analysis. We will use comparable sold listings to help you determine the accurate market value of your home. Whether you're in a seller's market, a buyer's market, a short sale or foreclosure market, Assist 2 Sell's fully licensed and experienced team can get the job done...and save you money along the way. We take care of everything, in fact the only difference you will see between us and other Realtors is the money you save in commissions. In today's complicated housing market we keep things simple.....simple, but effective and with exceptional value. We call it "Results with Savings!" Looking for a new home? We love working as buyer's agents, nothing is more fulfilling then to find you the home of your dreams. Use Quick Search or Map Search to browse an up-to-date database list of all available properties in the area, or use our Dream Home Finder form and we will conduct a personalized search for you.